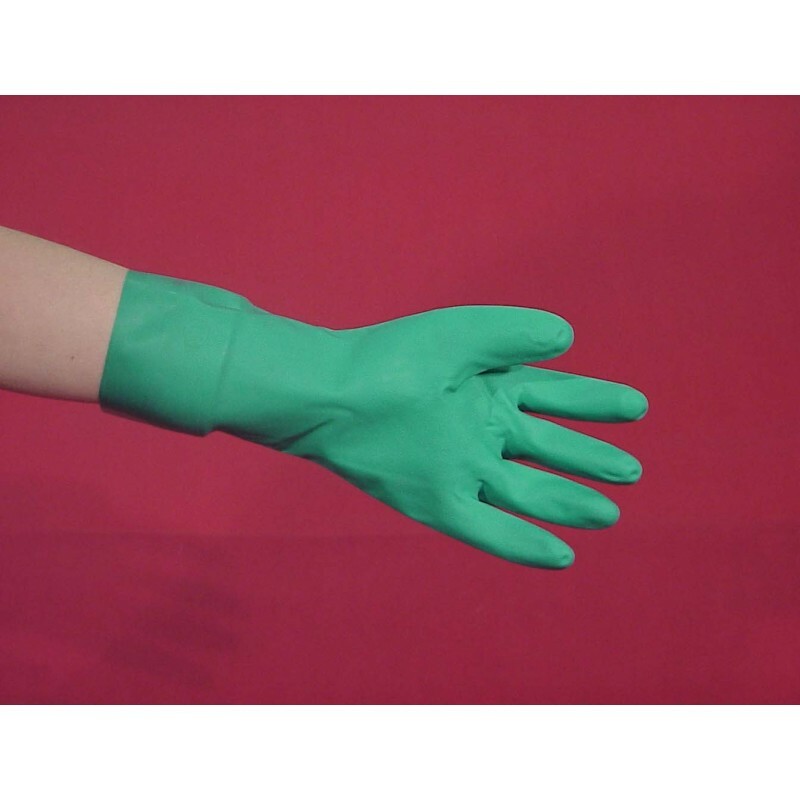 SAF-T-CURETM NITRILE FLOCKED-LINED GLOVES are constructed of specially-compounded, non-slip nitrile for excellent strength and resistance to most solvents. Will not swell or weaken during long-term exposure and clean up. Highly resistant to punctures, snagging, and abrasion. Straight cuff with natural hand fit. Soft, cotton flock lining absorbs perspiration and permits easy removal. 12 pairs/pack, 12 packs/case. HEAVY USE: Recommended for ink cleanup and solvent handling.